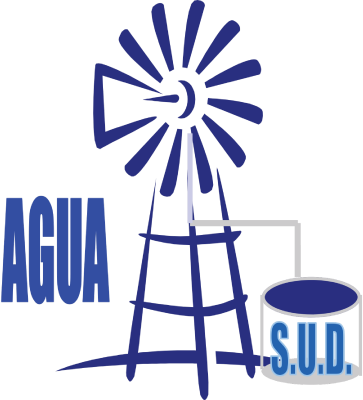 PALMVIEW — In the four races for a seat on the Agua Special Utility District board of directors, the candidates who ran on the Agua SUD F1rst slate, an extension of Team L1berty, emerged victorious. Loyd Loya won re-election as director for director of Peñitas with 61 percent of the votes over two opponents, Juan Gonzalez and Noe Zarate Jr. They received 35 percent and 3.5 percent of the votes, respectively. Ivan Sandoval, who was appointed as the director for Sullivan City in November after his predecessor was removed for failing to attend more than half of the regularly scheduled meetings, will be staying on the board, winning his race with 519 votes, 54 percent of the votes. He was challenged by Julian Peña who received 437 votes. The race between the two men was not without conflict. Sandoval filed a complaint requesting to have Peña removed from the ballot claiming he worked as a developer, a violation of the Texas Water Code. Peña denied he was a developer even though he, at one point, listed himself as the owner JP Developers, LLC on his Facebook page. Peña later removed the company from his page, saying the company was never registered and did not exist. For the newly created position of La Joya director, which was previously a county-at-large position, Adolfo Arriaga was elected with 66.5 percent, or 191 votes. His opponent, Juan Jose “J.J.” Luna, Jr., received 96 votes, which amounts to 33 percent. In the race for Mission director, Cesar Rodriguez, Jr. won re-election by just three votes with 68 votes to the 65 votes cast for his opponent Eric Sanchez. However, Sanchez said he was celebrating because he believed himself to be the true winner. Sanchez alleged four of the votes came from Rodriguez’s family members who he said recently registered to vote at Rodriguez’s address. Sanchez said he would be conferring with his lawyer to determine how to proceed.